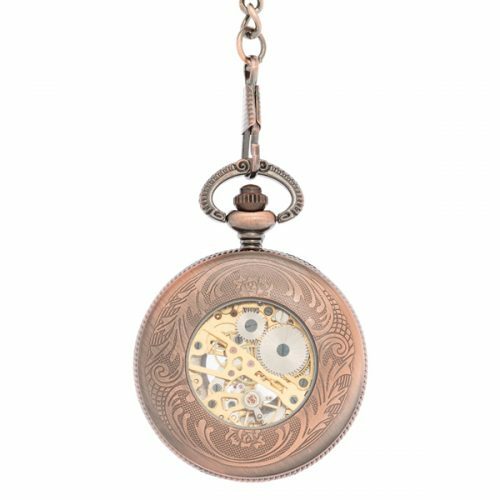 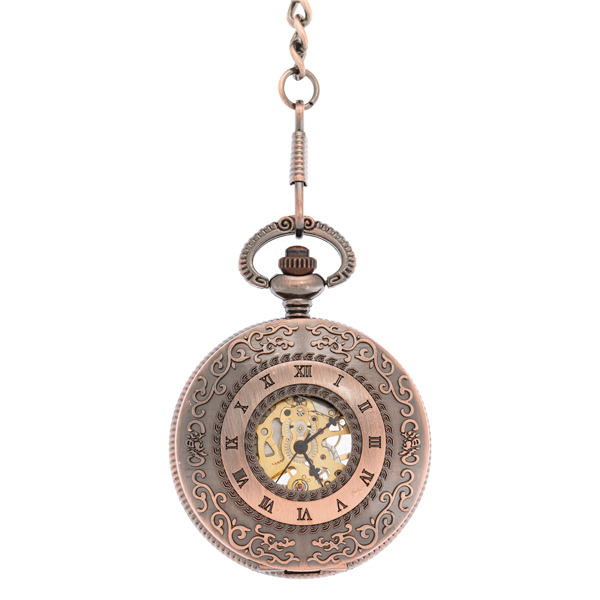 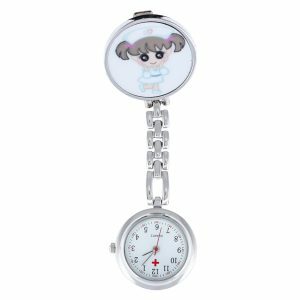 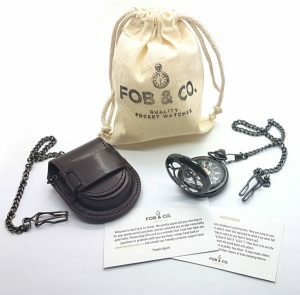 Rose Tone Swirls Half Hunter Pocket Watch - Fob & Co. 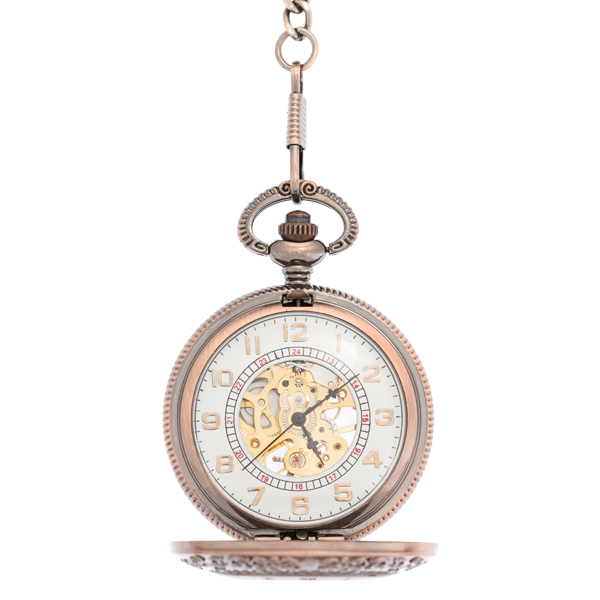 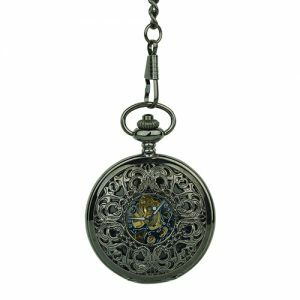 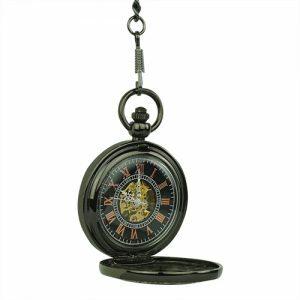 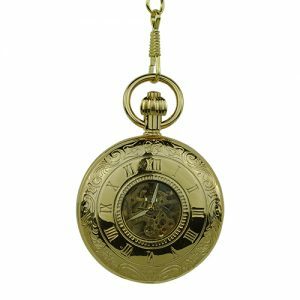 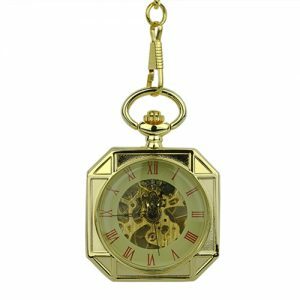 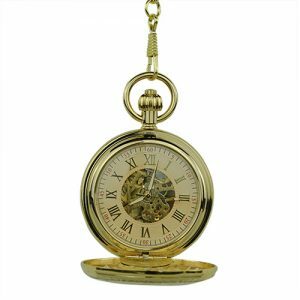 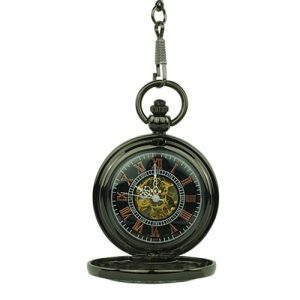 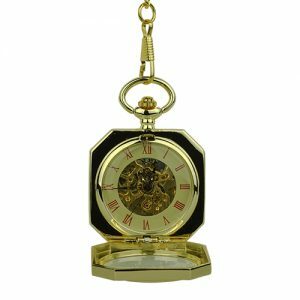 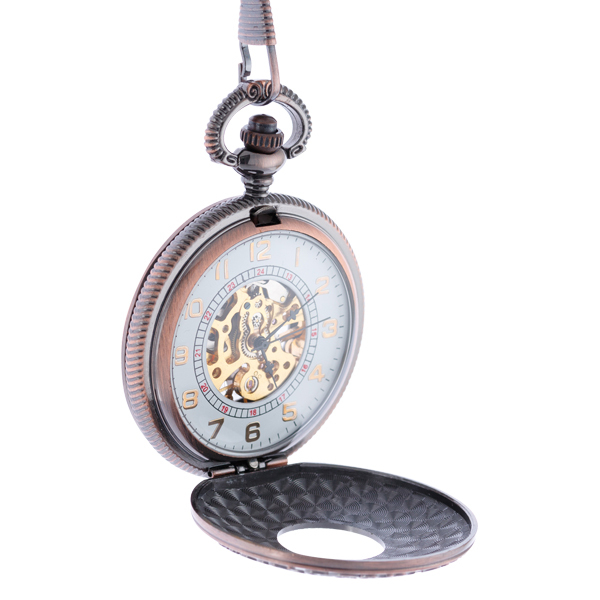 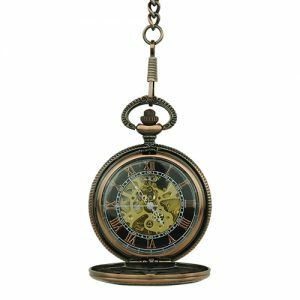 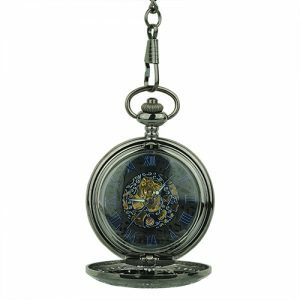 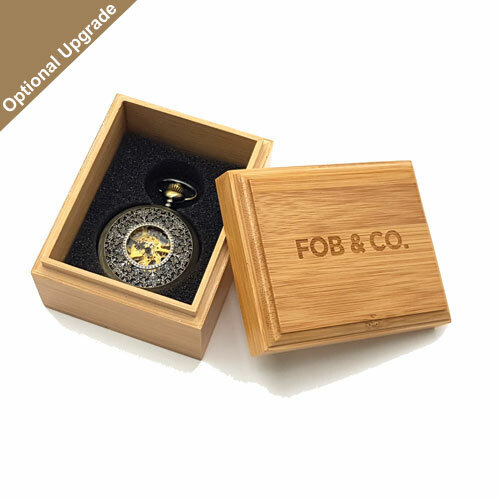 Lend warmth to your look with an antique brass finished half hunter pocket watch with an outer ring that features a wavy design with Roman numerals in the inner ring. For the finishing touch, a centre viewing window shows the see-through watch design to gold-toned inner workings.